12-Strike mini book! Sleek, smart, and suitable for those darker lounges, jazz clubs, bars, restaurants, and more. 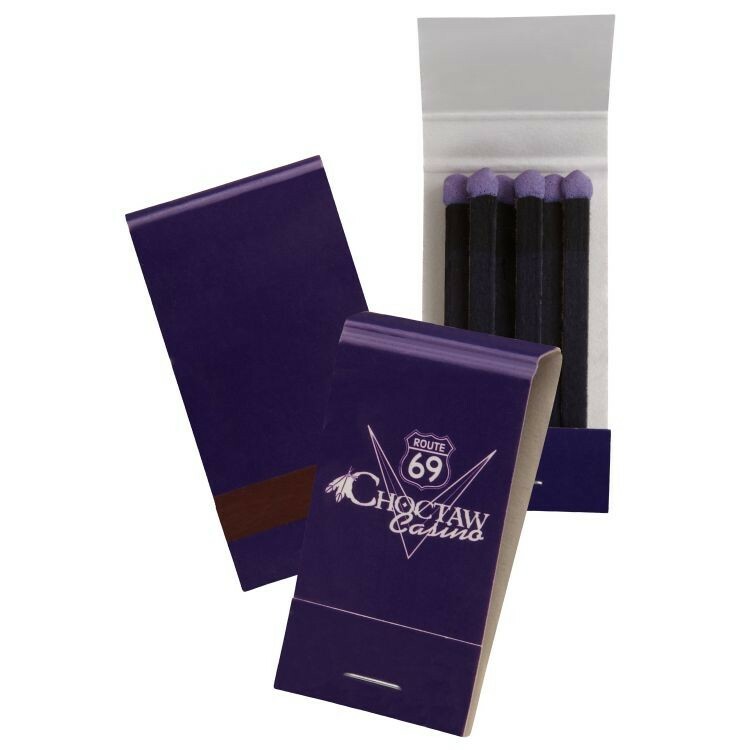 Each book comes with 12 black stems and 1 of 17 stock match tip colors. Classic branding at its best! "Base Price" includes 1-color imprinting on entire outer cover (except striker).